Soap Box Derby racing in York raises questions. Did you ever build a derby racer in Junior High shop class? Do you know the sites of the three derby tracks in York? What happened to all those old Soap Box Derby racers? Can you name the Yorker that defeated all other racers to become the national Soap Box Derby champion? 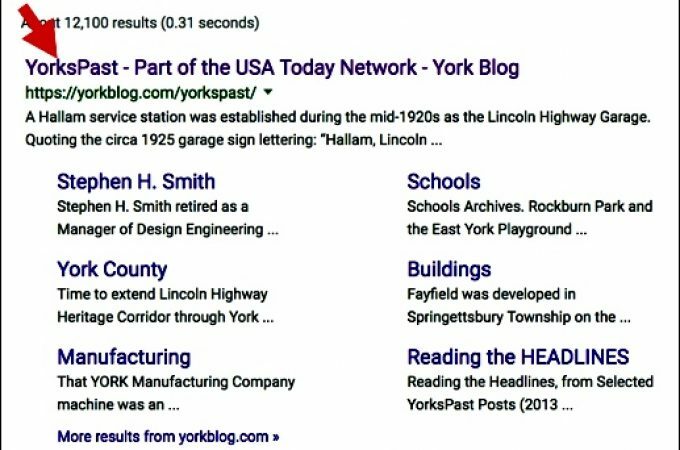 I’ll answer those questions, in this and the next three YorksPast posts, in a series exploring Soap Box Derby racing in York. What happened to all those old Soap Box Derby racers? 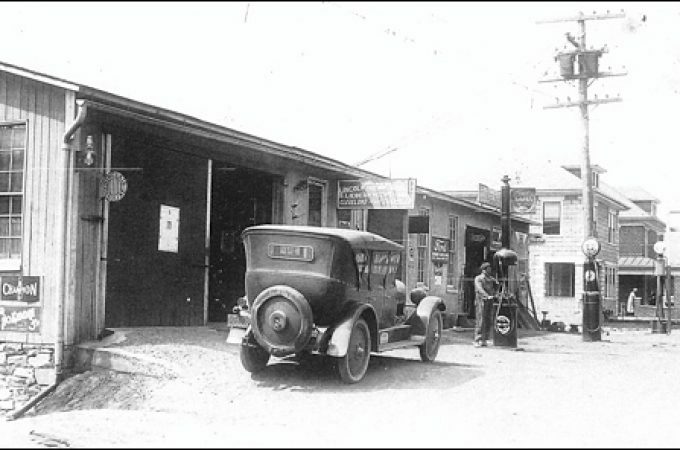 Our family spent four summers “vacationing” on a farm along Old Dutch Lane in York Township. During those years I was between 13 and 16-years-old; with four siblings younger. Our first summer at the farm, my cousin Bobby Diehl let us have his old Soap Box Derby car. My brothers and me had great fun as we flew down all the hills around our farm in that derby racer. Our rough gravel farm lane and bumpy fields were harsh on that derby racer. Parts loosened and flew off until we decided to salvage the official Soap Box Derby axles and wheels; by attaching them to a stout 2” x 12” by 7-foot long wood plank. 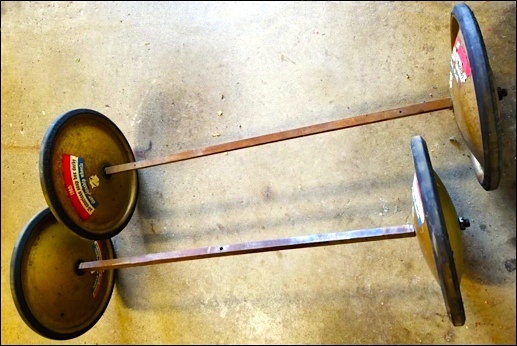 We’d sit on the plank, while using a rope and our feet to turn the front axle; in order to steer our gravity racer. The only braking was accomplished by dragging our feet. I still marvel that nobody got hurt riding that beast. Do any of my readers have stories of what happened to their old Soap Box Derby racers? Did you ever build a derby racer in Junior High shop class? 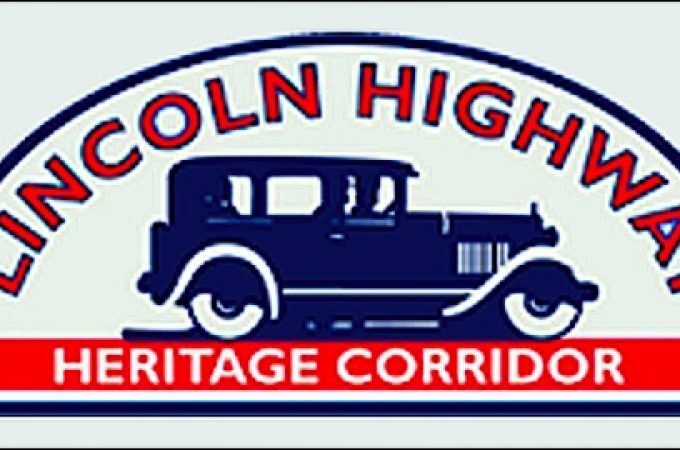 There was talk about allowing the building of Soap Box Derby racers in the Industrial Arts woodworking classes, while I attended North Hills Junior High School; now Central York Middle School. It was never allowed at Central; however I wonder if any other York County School District allowed such a project in woodworking classes. 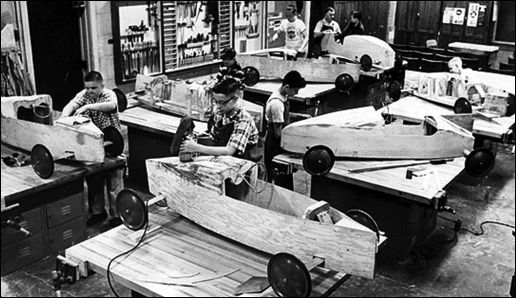 I discovered many schools, across the county, did allow Soap Box Derby racer building as an approved project. 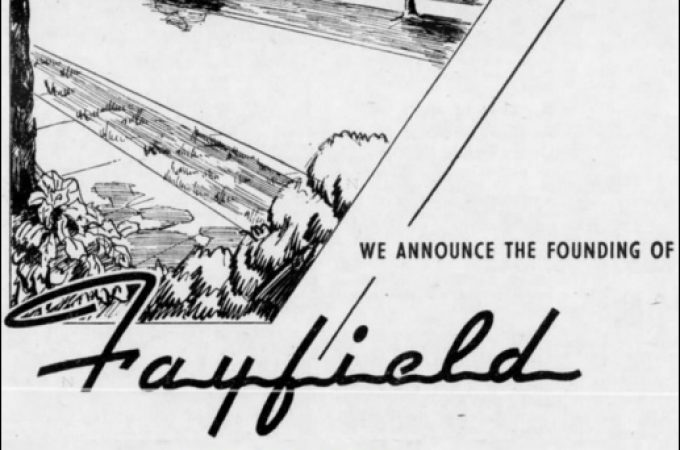 As an example, the June 24th, 1960, issue of the Minneapolis Star reported on 13-year-olds working on their Soap Box Derby racers at Jordan Junior High School. At the Johnson Controls 25-Year Club last Thursday, I got several questions about the subject of my next YorksPast post. 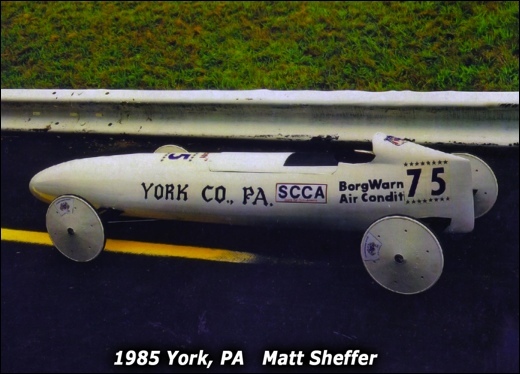 One of the responses to “Soap Box Derby racers,” was the reply; “Make sure you write about Matt Sheffer. I hope you know that York Division of Borg-Warner was the major sponsor for Matt when he won it all in 1985.” The following photo shows Matt Sheffer’s winning racer in 1985. 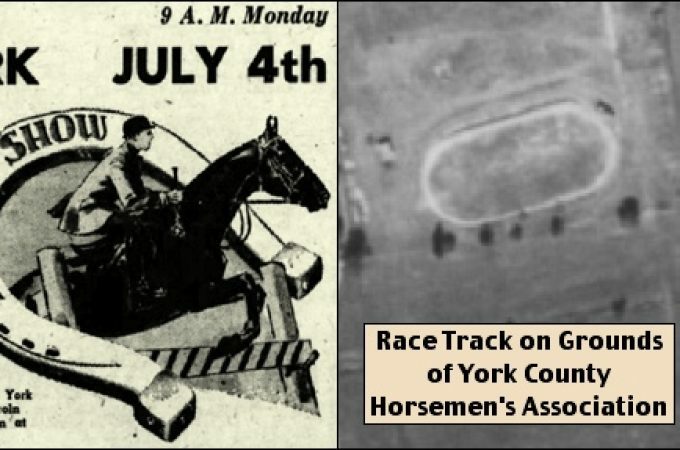 Watch for the upcoming posts; focusing on the sites of the three Soap Box Derby tracks in York.